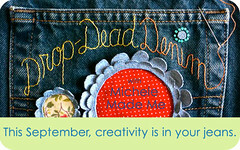 FYI, the whole of September is Denim Month here at Michele Made Me. Did you know that denim is a “cotton twill in which the weft thread runs under two (or more) warp threads”? And did you also know that this weave is “what gives the backside of the fabric that telltale diagonal ribbing”? Well… now you know. Thank you Wikipedia. 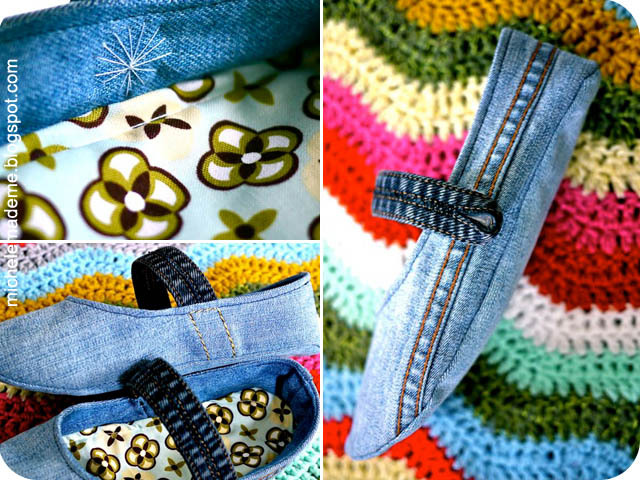 I was considering calling this post: “Things I Learned From My Slippers” because these here Mary Jeans taught me some stuff I was not previously aware of. Thing I Learned #1: I have alien feet. 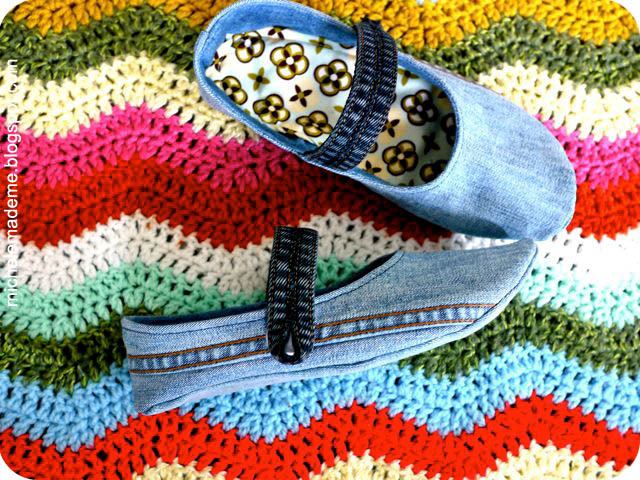 The original pattern for Mary Janes by Akiko Mano, from the book Linen, Wool, Cotton, can be downloaded for free from the Canadian Living website. I didn’t know I had hooves for feet (see my hooves in other slippers HERE) until I began making these pantofles using Akiko’s pattern. But I had to remake my muslin test slipper a total of 7 times before ever putting scissor to denim. The pattern was even in my size. Yikes-y. Thing I Learned #2: I can be quite patient when I want to be. Which, by the way, isn’t often. But 7 test slippers later, I was on my way. Thing I Learned #3: I can be creative when the mood strikes. Okay, that one I knew. But I’m pretty proud of some of the details I’ve added to make these slippers uniquely mine. For example, the strap is a black jean seam folded in two and zigzag-stitched together to make a wide strap. That’s my favourite part of this project. But I also like the racing stripe down the side. Zoom. Thing I Learned #4: I should not have used stretch-denim to make my Mary Jeans. 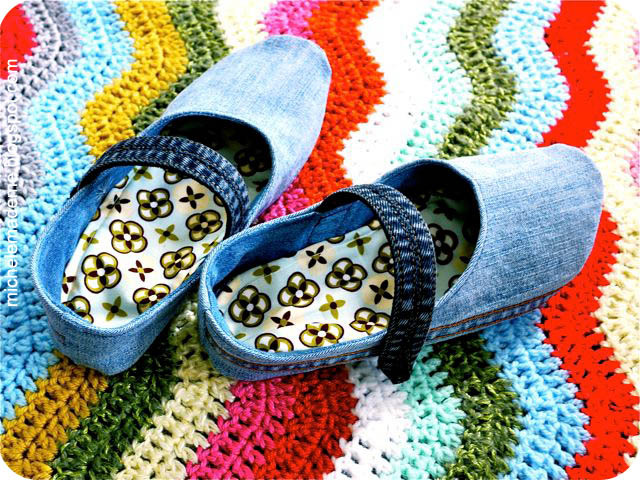 I would have been better off using the non-stretchy kind of jeans to make my slippers. I was trying to be a good citizen and use up some scraps. The stretch added a whole new dimension of difficulty to these little house shoes that I would have happily lived without. Thing I Learned #5: Shoe-making is hard. Cobblers are both artists and scientists all mixed in one. I am no cobbler. The universe was smiling sweetly on me when I made these slippers because they actually turned out okay. 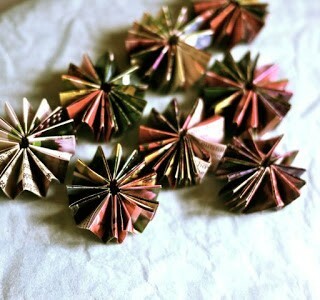 They were somewhat challenging however. But if you’re prepared for the work ahead, then you too can make yourself a pair of pretty Mary Jeans. Again, download the free pattern HERE. Well you have yourself a fine fine day. Tomorrow the author of Denim Revolution (and queen of Denim herself) Nancy Minsky will be here running the show. Wow, can’t hardly believe it myself but there it is in black and white! I’ll see you then! I am not sure that I would have lasted for 7 test runs either…good for you! I think that the end result is great and I agree with you about the strap-perfection! How smart..these are really nice.. seems you have done great effort in making these Mary Jeans 🙂 I am not good in sewing so i cant dare to try this..hehehe..really! These are fantastic! I love your Mary Jeans. 🙂 Really enjoying the denim month. 7 test runs and not gone crazy? 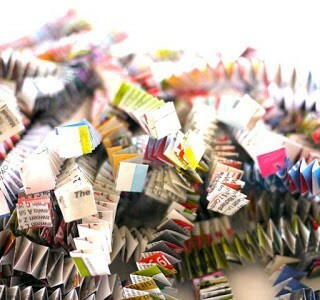 Wow, I would have thrown them in a corner of my sewing room, I’m sure! The straps are perfecion indeed! Michele – they are adorable. When I saw them the first thing I thought was "I must have a pair"! I think the effort was totally worth it! The straps are also fab (great thinking) together with the eye-catching lining! Before I forget – Thank you for sharing the link. Charming shoes – great work! Mary Jeans – brilliant name! They are ridiculously adorable, could you make us all a pair? I wear a size 10. But seriously, folks – LOVE THEM! The folded jean seam strap is fab – I have been making some button-closure bracelets that way recently, it's such a fun way to make a button loop. Also: I am delighted that you used the word pantofles in a sentence. 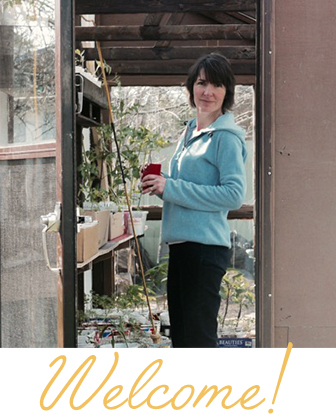 These Mary Jeans are some serious upcycling dedication, Michele. There's no way I would have persevered and made SEVEN muslin try-outs. They are so adorable, right down to the Amy Butler lining – perfection. 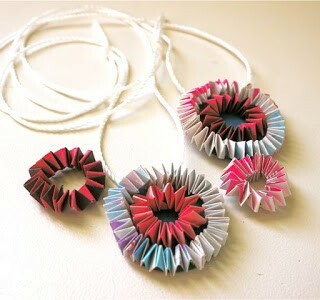 They may have been a challenge to make, but the results are dynamite. I am going to download the pattern, but it may never see the light of denim or thread!! 🙂 Fabulous post! Michele, these are SWEET. In both senses of the word. Well done! I don't think I would ever attempt to make slippers for myself. Bravo to you for going for it! They look awesome!!! You did a good job on them!! 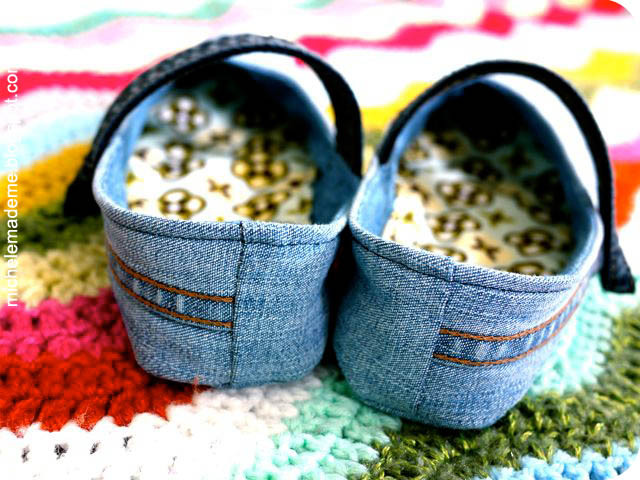 I have bought a pattern for Mary Janes and still didn´t make one pair … but using denim is sooo pretty! Super cute and I must say you are a trooper for not giving up. I don´t think I could have lasted 7 rounds! 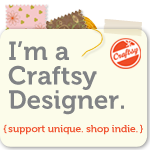 Kudos to you for your persistance in making your adorable shoes!